Cold and flu season is upon us. But fear not! 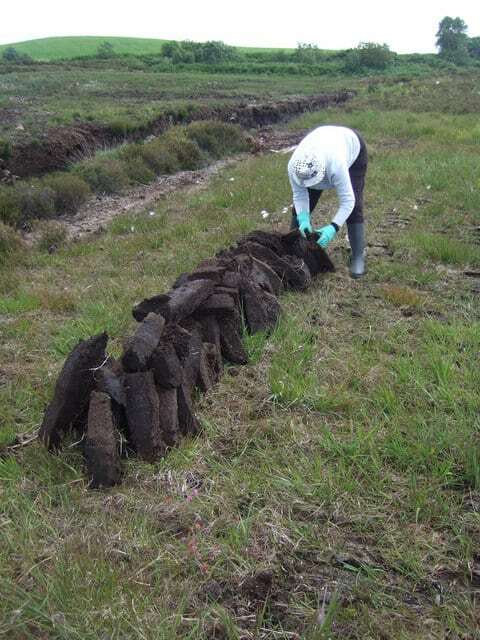 Ireland boasts a traditional cure for notorious winter viruses. 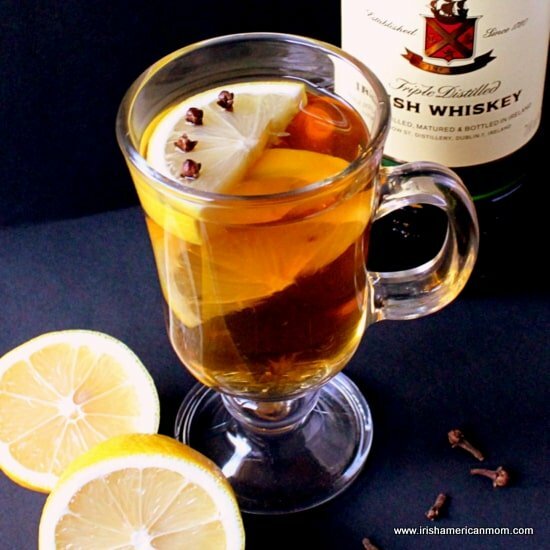 Of course, the Irish answer to chills and fevers is none other than a hot whiskey. 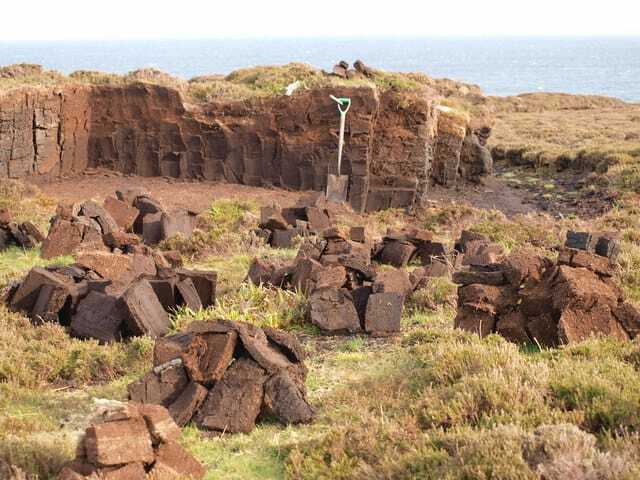 Whiskey’s medicinal properties are probably why it got its name “uisce beatha”, or water of life? In Scotland the preferred name for this winter drink is a hot toddy, but whether you use Irish whiskey or Scotch whisky, this steaming, lemon and clove infused hot beverage not only warms the cockles of the heart, but helps ward off the sniffles. 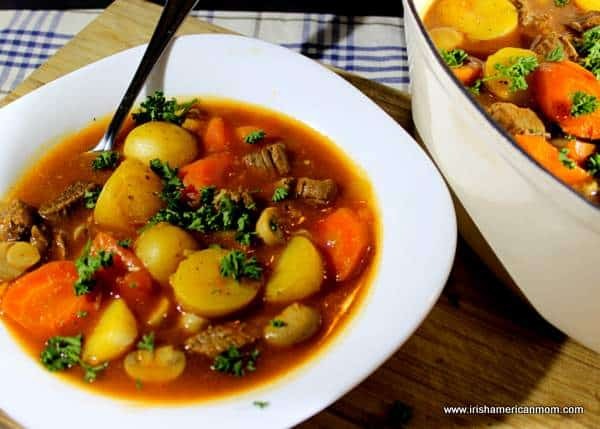 Even if you’re not coming down with a dose of the sneezes, this comforting concoction can warm you up nicely on a cold evening. In years gone by hot whiskey was called whiskey punch. The early temperance movements were none too pleased with this favorite Irish beverage, and the phrase “punch drunk” was born. I had thought this term was a stereotypical reference to drunken, fighting Irish men, not their libation of choice. The use of the term whiskey punch died away long ago, but the drink itself has survived the ages. But be warned. Not all hot whiskeys are created equal. There are many ways to mix this drink, but if the ingredients are not prepared correctly and in the right proportions this aromatic drink can be far from comforting. When made correctly a hot whiskey can be a work of delicious art. Here are my tips and tricks for hot whiskey making success. I like to use a thick glass with a handle. 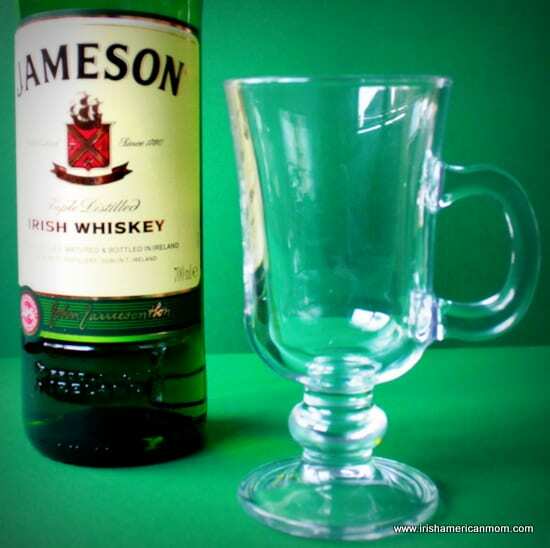 Irish coffee glasses are just perfect. Drinking hot whiskey in a glass tumbler is risky business. The steaming beverage scalds the glass in no time at all and the only way to hold it is to wrap it in paper towels or a napkin. I use a nice thick slice of lemon and cut it into two semi-circles. I’ve seen hot whiskeys made with tiny slivers of lemon and all I can do is shake my head. Sorry for sounding bossy, but I fancy myself as a bit of a hot whiskey expert. 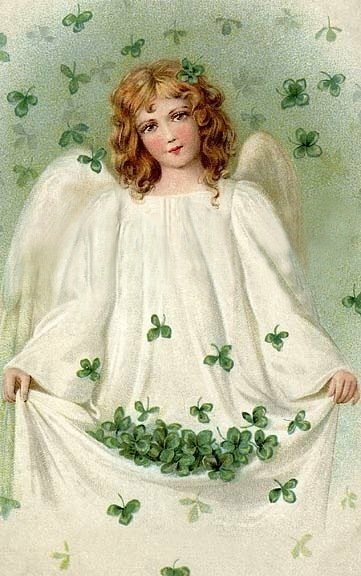 It’s my God given right – I’m Irish. Before you slice the lemon, it’s best to wash it well with very hot water to remove any wax covering. Or better again, use an organic lemon that doesn’t have a wax coating. Cut a slice of the lemon and halve it. Remove any pips from the lemon. I don’t like pips floating in my hot whiskey. Some people like to squeeze a few drops of lemon juice into their hot whiskey. For me a few drops will pass, but if you over do the lemon juice you’re simply creating an alcoholic lemon Theraflu or Lemsip, which is the Irish or British equivalent. 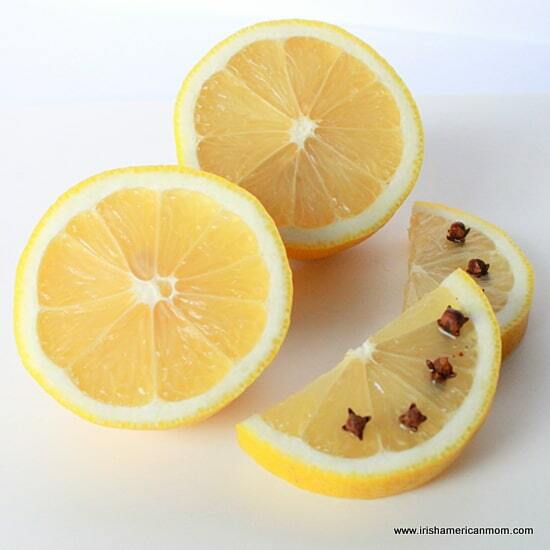 Stud each piece of lemon with 3 or 4 cloves. Don’t overdo the cloves unless you love the strong flavor of these little spice devils. This is my granny’s golden rule of hot whiskey making. It’s as important as pre-scalding your teapot when making tea. I quarter fill the glass with boiling water and swish it around the glass, before tipping it out. I’ve seen friends heat the glass by holding it over the spout of a steaming kettle, but that’s too risky for me. My fingers can never escape the steam, so I recommend the water swishing method. 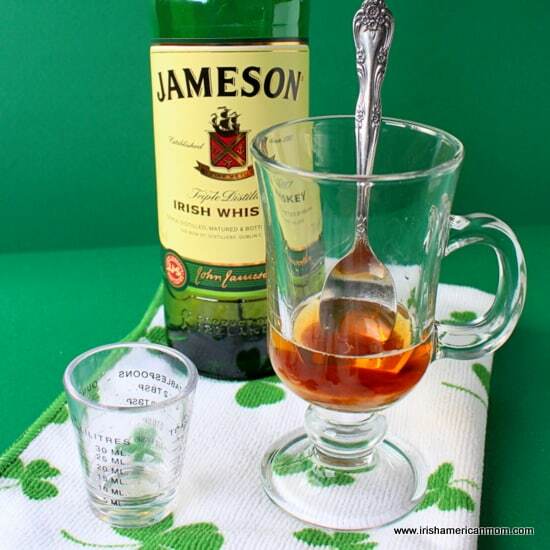 A spoon should be placed in the glass before adding whiskey and boiling water. I was always told this little trick prevented the glass from cracking when hit by the boiling water. The poor glass could get such a fright when scalded it might split in two. Now this theory has probably been scientifically debunked long ago, but I still don’t wish to work with frightened glasses. Another rational for this step is that the metal spoon absorbs heat from the boiling liquid, thereby cooling it down a bit, bringing the hot toddy to drinking temperature a little quicker. For an Irish coffee glass you really need to add a good measure of whiskey. So I suppose I am recommending one full measure plus a wee drop. To tell you the truth I just add a good dollop of liquid gold at the bottom of my glass. Since I’m trying to sound like an official hot whiskey expert I thought I had better check out the exact volume in a measure of whiskey. 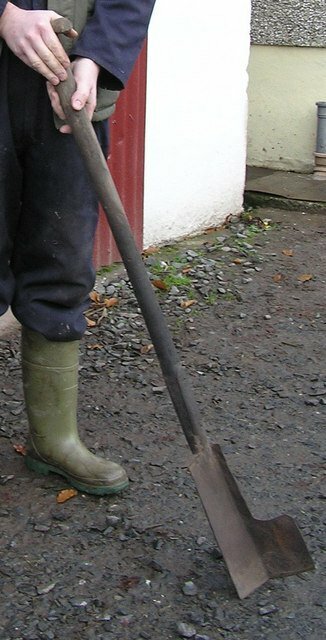 A single measure in Ireland is 35.5 mls. A regular American single measure is 44 mls or 1.5 fluid ounces. Everything really is bigger in America. But a small American measure is 30 mls or 1 fluid ounce. So here’s my advice ….. In Ireland add a measure and a wee drop of whiskey, and in America add a full regular single measure of 1.5 fluid ounces. Remember too much boiling water and too little whiskey yields a watery hot whiskey lacking its famous kick. More whiskey equates to more pizazz, or oomph, or whatever you like to call it. Pour the whiskey into the glass at this stage. It won’t be alone for long. Now I always insist on using brown sugar rather than white sugar. The more intense caramel flavors of brown sugar are prerequisite for my hot whiskeys. Add two teaspoons of brown sugar to the whiskey in the glass. A little honey is fine, especially if you are making your hot whiskey for medicinal purposes, but don’t over do it. Honey will mask the subtle flavors brown sugar brings to the drink. Now it’s time to pop those prepared lemons into the glass to await their boiling water bath. Some hot whiskey preparers hold off on adding the lemons until after the boiling water is poured over the whiskey, but I like how the lemon and clove flavors infuse the hot liquid when they feel the full force of the boiling water. 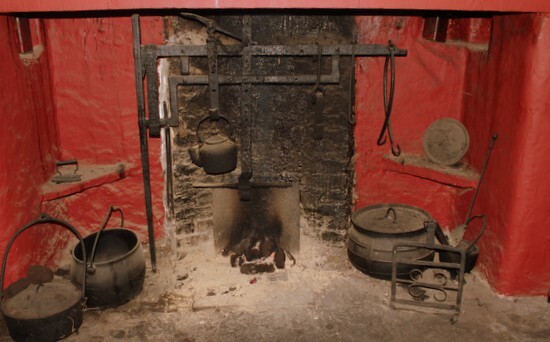 No tepid, luke warm water allowed for making hot whiskey. 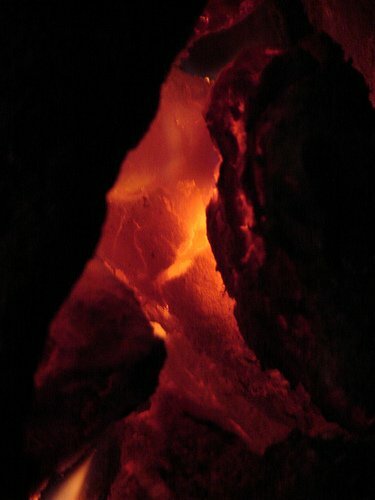 The scalding hot temperature of boiling water is required to ensure the lemon, cloves and brown sugar release their flavors and blend together mellowing the whiskey. My glass takes an additional 5 fluid ounces of hot water to top it off, but some glasses will take more. The choice is yours. Pour in hot water, but leave some room for extra if needed. Should you find your whiskey too strong for your liking, you can always add a little more hot water after you take the first sip. Gentle stirring only is allowed. The only purpose of stirring is to help dissolve the sugar. 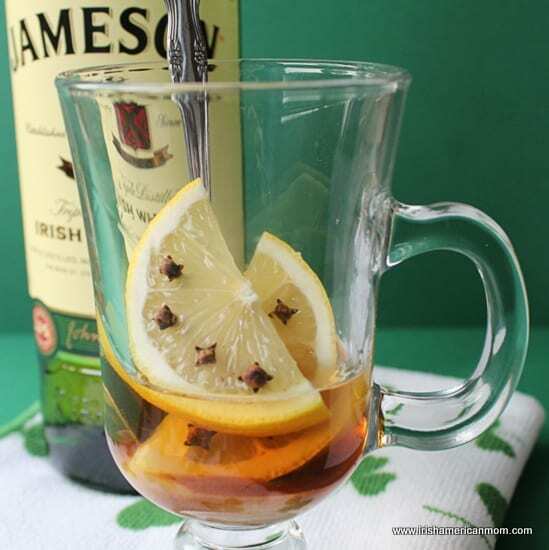 Too much stirring knocks tiny segments off the lemon slices which detract from the smooth quality of a good hot whiskey. This drink is definitely stirred not shaken. Serve hot whiskey immediately. Sip, don’t gulp. This hot, aromatic drink is designed to be savored slowly, allowing the whiskey time to coat your throat and attack all those sore throat inducing bugs. I can’t even believe I typed this heading. My poor granny is turning in her grave at the very thought of destroying a pure hot whiskey with strange and unusual ingredients. A sliver of fresh ginger may kick it up a peg or two, adding a medicinal zing. If you like a sweeter, more mellow drink why not stir it with a cinnamon stick. 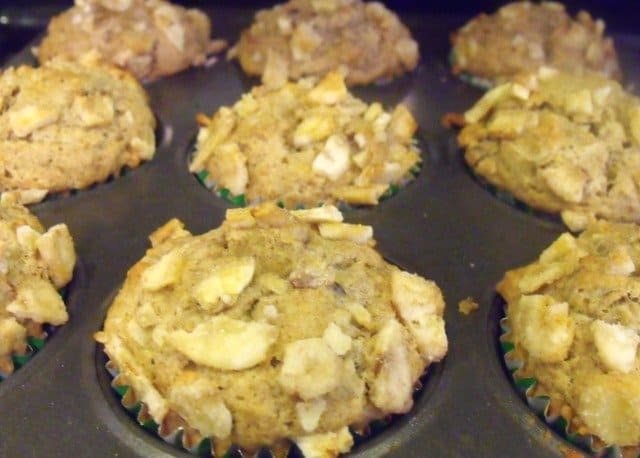 Whatever you do, don’t add a spoon of dry cinnamon. It won’t blend with the hot whiskey. A cinnamon stick, however, infuses the blend with an extra layer of flavor. 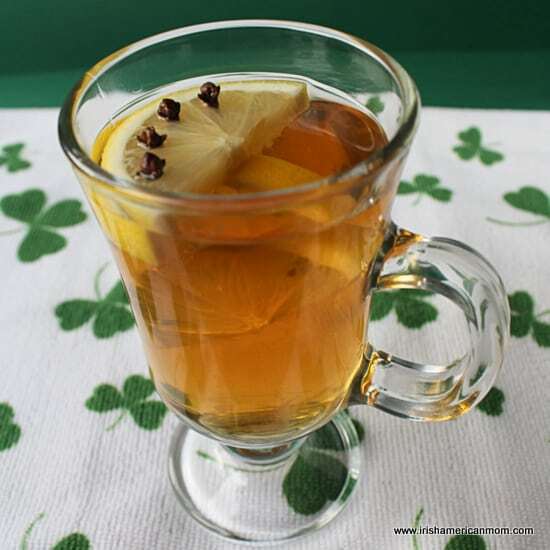 You can also make your hot whiskey with freshly made tea instead of hot boiling water. A lemon infused tea might be delicious. I haven’t personally tried this one, but I like the idea. 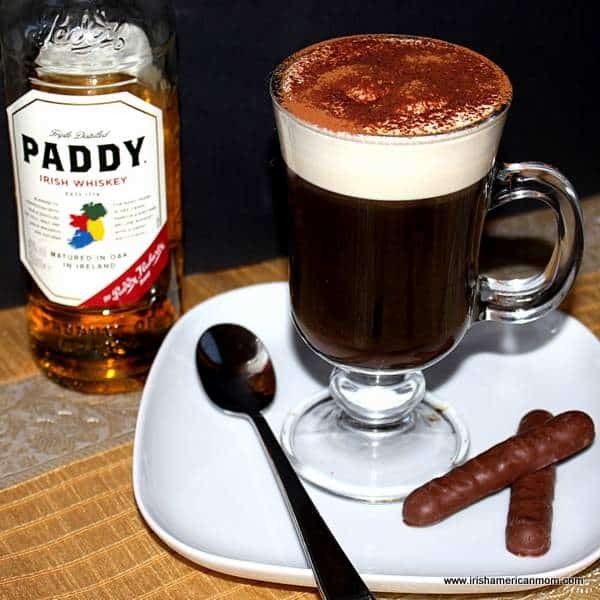 And so, there you have it – my Irish hot whiskey making tips and techniques. Wishing you all sniffle free days over the coming weeks of winter. But if you can’t escape the winter time chills, a good hot whiskey may be all you need to dampen those flu-like symptoms. And so I raise my glass and drink to your health. 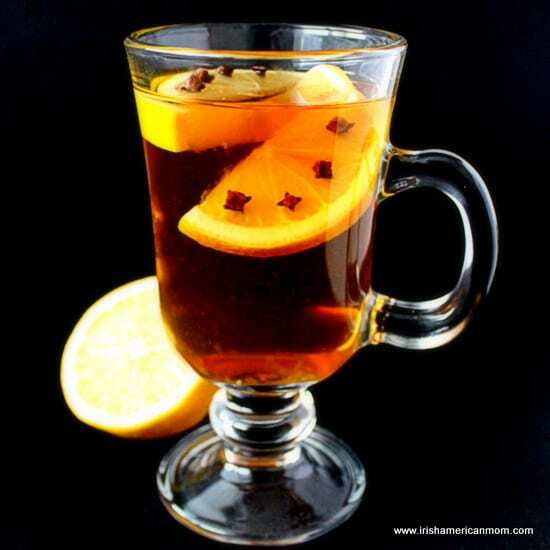 Hot whiskey or hot toddy is a lemon and clove infused hot beverage that not only warms the cockles of the heart, but helps ward off the sniffles. Step 1 Take a slice of lemon and cut it in two semi-circles. Stud the lemon pieces with 3 to 4 whole cloves. Step 2 Pre-heat a glass with a handle by scalding it with boiling water and then throwing the water away. Step 3 Place a spoon in the glass. Add a measure of whiskey and brown sugar into the glass. Pop in the prepared lemon slices. Step 4 Top off the glass with boiling hot water. Stir gently to dissolve the sugar. Step 5 Serve immediately, taking care when holding the hot glass. 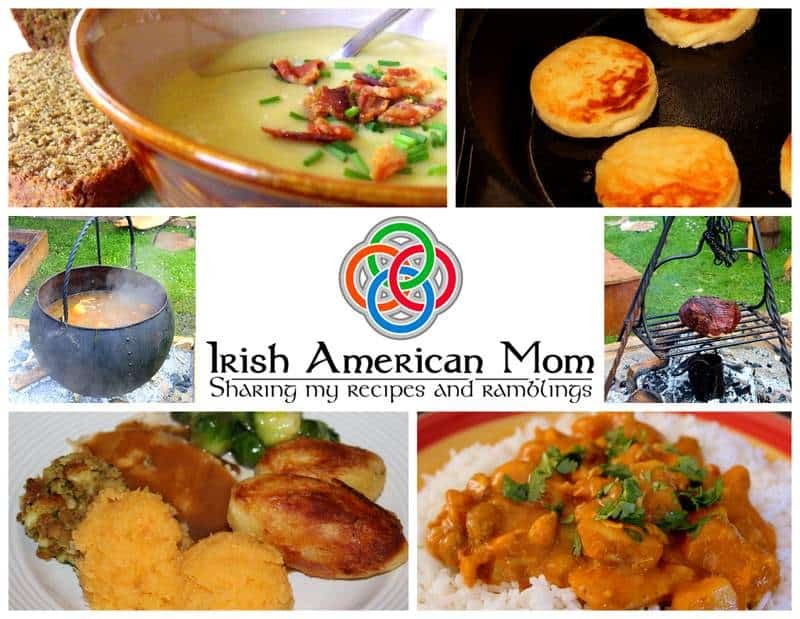 Here are some more recipes and Irish cooking you might enjoy. 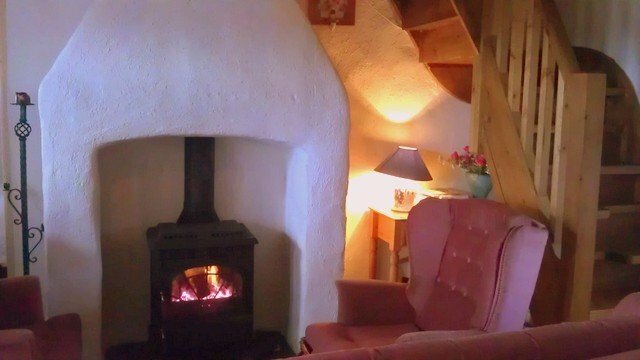 Saying goodbye and departing a friend’s home may be a simple act in America, but in Ireland there is an unwritten code of honor that guides farewell rituals. There are superstitions that must be adhered to, or God forbid you may draw some form of ill fate upon your unsuspecting self. I always remember my mother’s superstitions about a first visit to a new friend’s home. 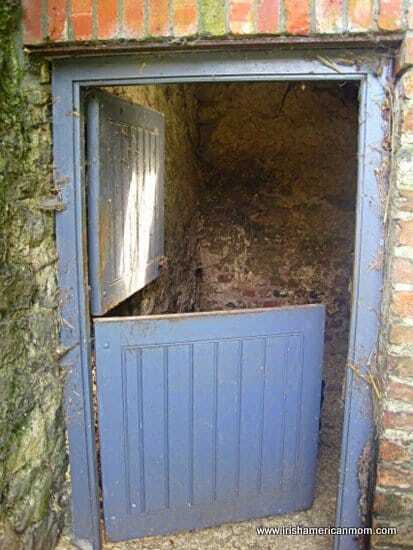 She advised me to always leave by the door through which I first entered. I have arrived at parties in the U.S. where all the guests are streaming through an open garage door. 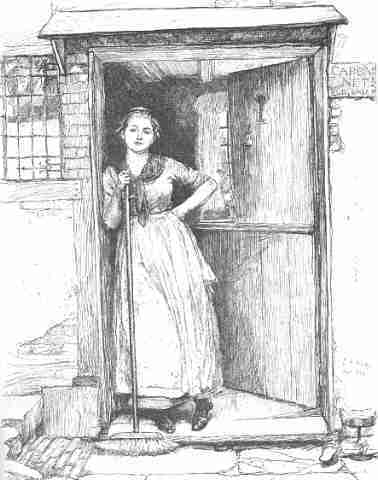 Try as I might to forget obsolete traditions of my youth, my unwilling feet always lead me to the front door of each and every home I visit. I find it very difficult to arrive non-chalantly through a back door with an enthusiastic announcement of my arrival. 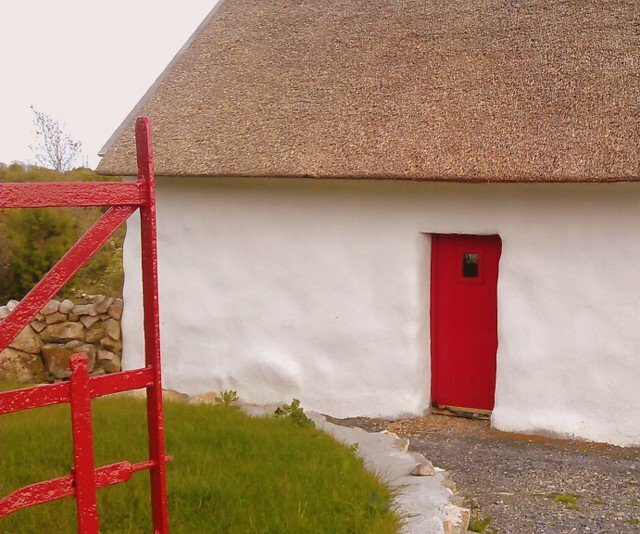 For me, the ding dong of a door bell wards off those bad luck spirits ruling over ancient Irish greeting rituals. And then of course there is the issue of which door I may leave through without bringing ill luck my way. My mother’s words return and you know you should never ignore your mother. Leave by the door through which you entered on your first visit to a home. If I go in through an open garage when I arrive in daylight, it can be a little awkward to ask to exit through the garage, if it’s all closed up at the end of a night’s festivities. Oh the dilemmas of carrying old cultural ways all the way to a new land. And then there is the whole drama of bidding farewell to guests in my own home. Unsuspecting American guests might announce they are about to leave, and try to slip out the back door or through the yard unnoticed. 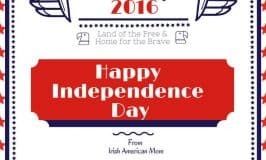 Not in my Irish American home! Guests must be escorted to the front door for a proper goodbye and thank you. Even my kids know they should join the farewell party as we move out to the porch. Into the bargain we stand there and wave goodbye as your car departs down the street. Our front door does not close until you have officially departed. I know my neighbors think I’m crazy, but what can I say. I’m Irish. 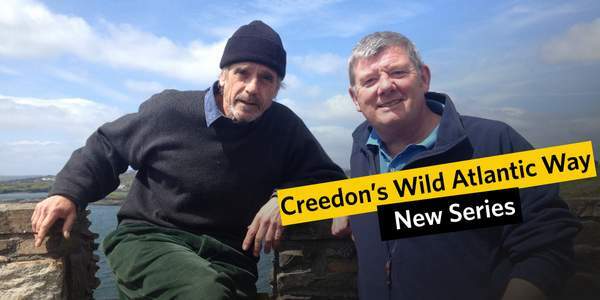 In Ireland farewells can go on and on. Deep conversations are launched at the door. A quick exit is very difficult, so plan your departure with plenty of time to spare. Now recently I learned of an American term called ‘an Irish goodbye’. This phenomenon is also called ghosting, and refers to leaving a social gathering without saying your farewells. I never heard of this expression in Ireland. 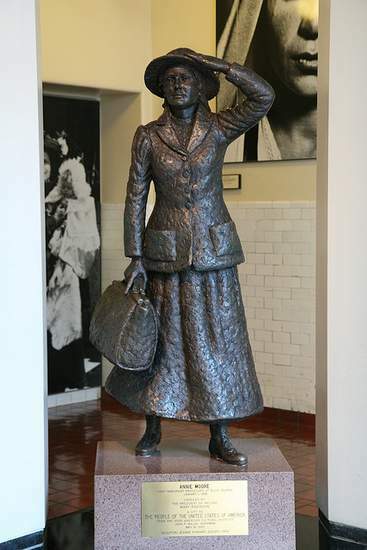 Perhaps it evolved in the U.S., as those in the know slipped out the back door, to avoid the infamously prolonged real Irish goodbye. 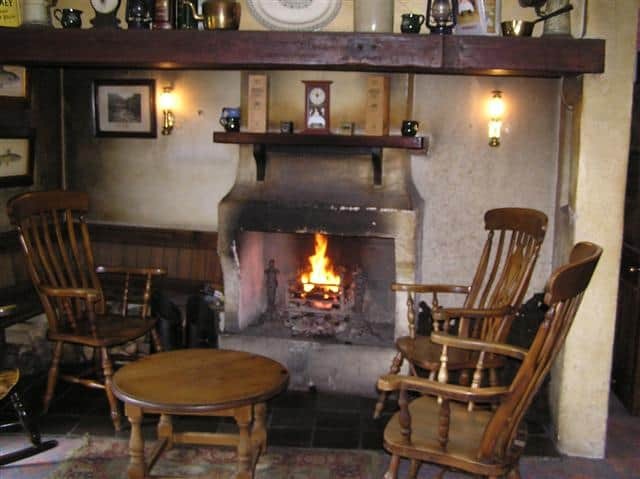 Shakespeare may have summed it all up when he said “parting is such sweet sorrow,” but in Ireland parting is full of superstition, and endless chat. 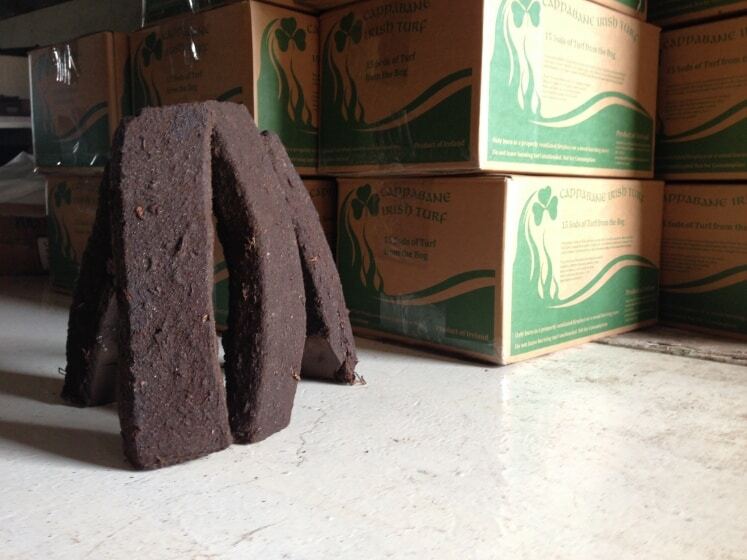 If you know of any other Irish superstitions regarding the rituals of coming and going, please feel free to tell us in the comment section below. And so, without any more fuss, I bid you all farewell this cold and wintry January evening. 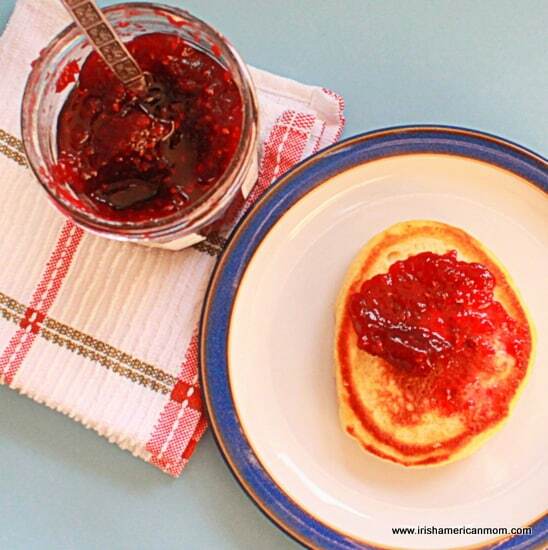 Other recipes and ramblings you might enjoy …..
Drop scones are small, thick pancakes, so named because they are made by dropping spoonfuls of batter on to a hot griddle or frying pan. I loved drop scones when I was a little girl. Lemon and sugar pancakes, which are more like crêpes, featured on our Pancake Tuesday menu, but on other days we enjoyed these hot delicious treats, spread with golden syrup and melting butter. 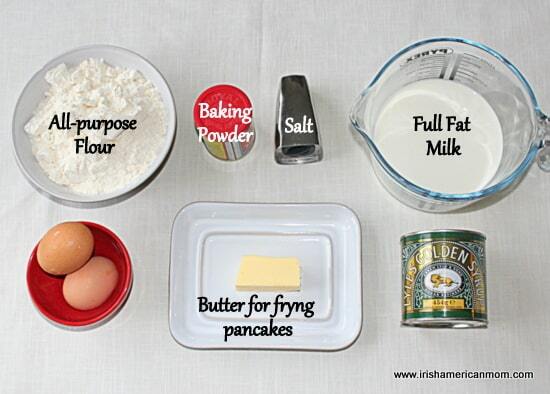 Drop scones are also called Scottish pancakes, and in the past were sometimes called pocket pancakes. They were the perfect size for popping into a pocket to stave off the nibbles and munchies. They actually taste great even when eaten cold, but should only be popped in the pocket if they haven’t been drizzled with syrup. 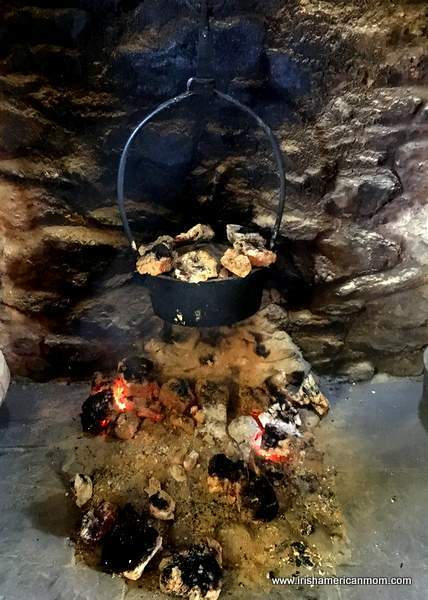 Originally invented in Scotland these little pancakes have been adopted and adapted by cooks throughout the British Isles. Apparently Queen Elizabeth made drop scones for President Dwight Eisenhower when he visited Balmoral Castle in 1959. Somehow, I don’t think the Queen rustled up the batter herself and personally dropped and flipped the President’s scones. But you never know. 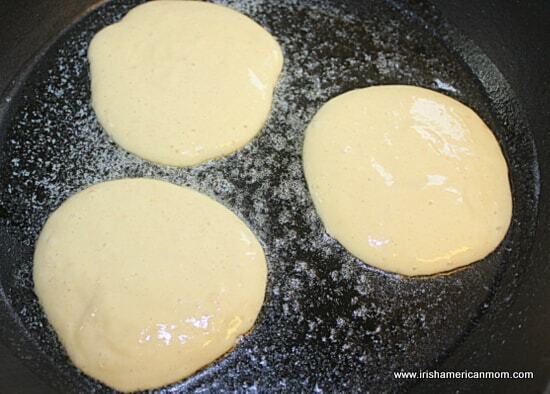 In the United States the term drop scones conjures up visions of drop biscuits. But trust me there’s no dough kneading involved here. 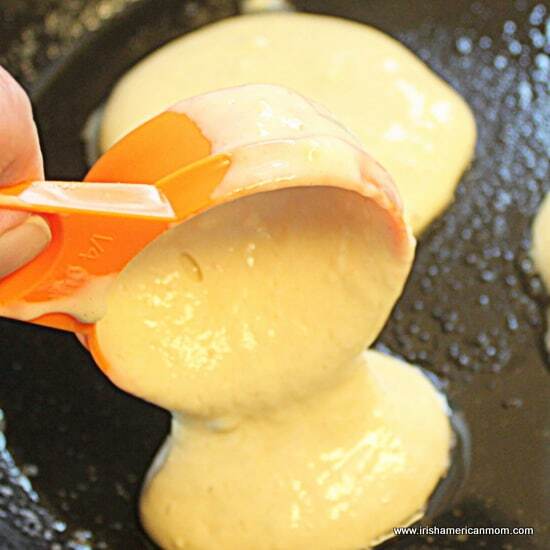 Instead dollops of thick pancake batter are dropped onto a pan. 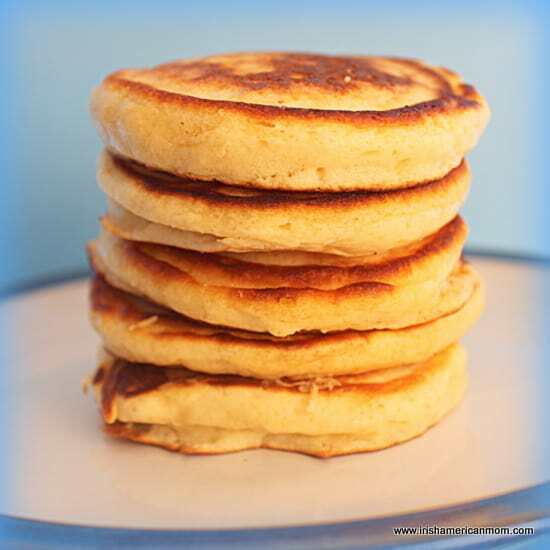 They are very similar to American pancakes, but drop scones are thicker, and a little smaller. 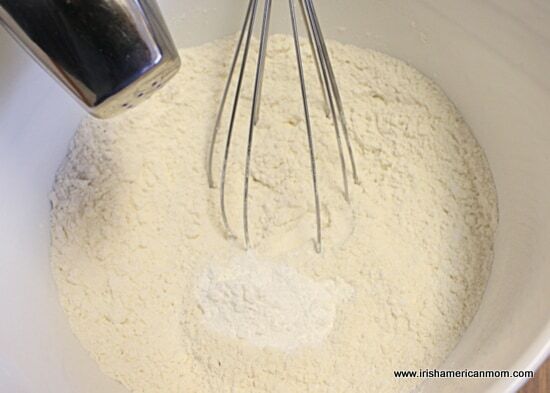 Toss the flour, baking powder and salt into a large bowl and whisk them together to eliminate any lumps in the flour. 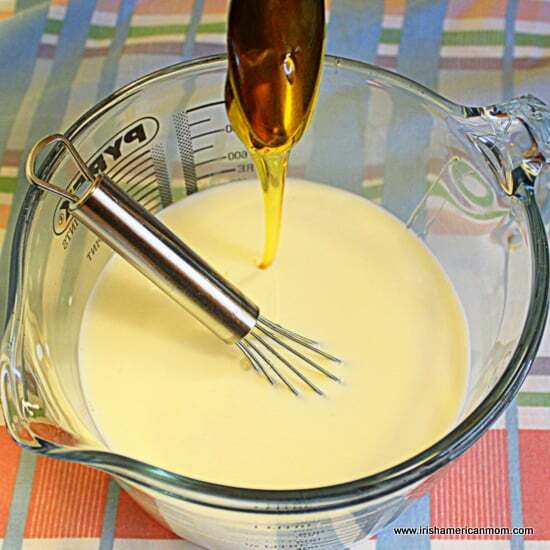 Next prepare the wet ingredients by whisking the eggs, milk and golden syrup together in a pitcher. Golden syrup is very thick and will fall to the bottom of the pitcher. 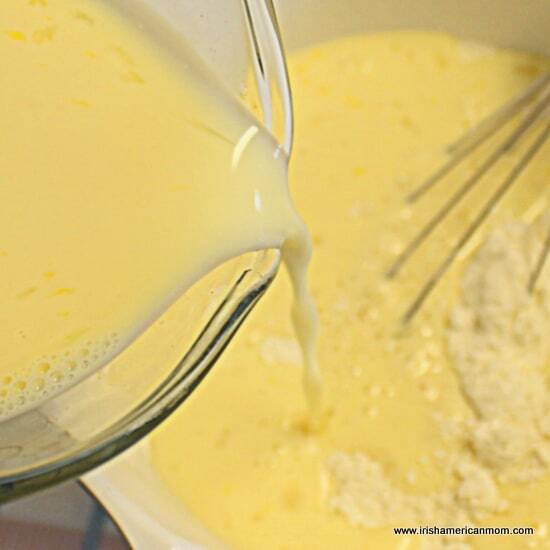 It takes quite a bit of whisking to blend it completely through the milk and egg mixture. If you cannot find golden syrup, fine white sugar will work instead. 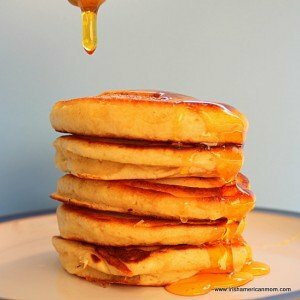 I prefer the slightly caramel flavor golden syrup adds to these pancakes, so if you can put your hands on a tin, then I highly recommend using it. In Louisville, I can buy golden syrup at my local Meijers grocery store. Add the wet ingredients to the dry and whisk everything together. This is a great recipe for children. My kiddos love whisking the batter, and searching for lumps. 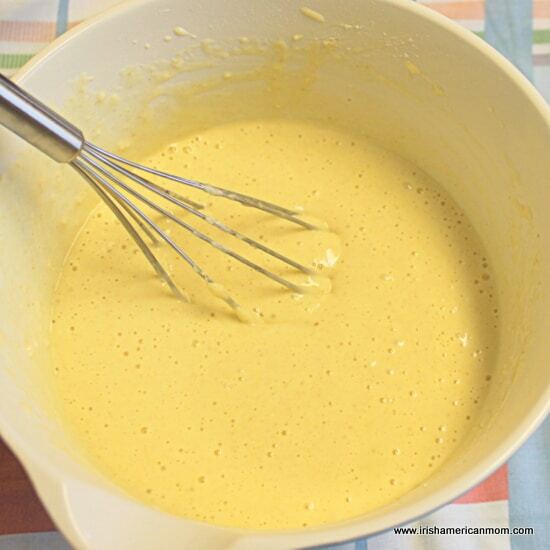 Whisk the batter well until it is smooth and completely blended. Next let the batter stand for 15 minutes before cooking. This is an important step. I believe this little bit of standing time allows the gluten in the flour to start breaking down. Next heat a non-stick or cast iron skillet over medium heat. I love how drop scones cook evenly in my cast iron pan. It takes quite a while for it to heat up fully, but the final product is worth the wait. Melt a knob of butter in the pan before adding the first batch of pancakes. Drop about 2 tablespoons of batter in circles on the pan. I use my 1/4 cup measuring spoon, and fill it a little over half way. These pancakes are about 3 inches in diameter. They are smaller than regular American pancakes and bigger than silver dollar pancakes. Cook for two to three minutes until the upper surface starts to bubble. Flip the pancakes over and cook for an additional two minutes on the second side, until golden. 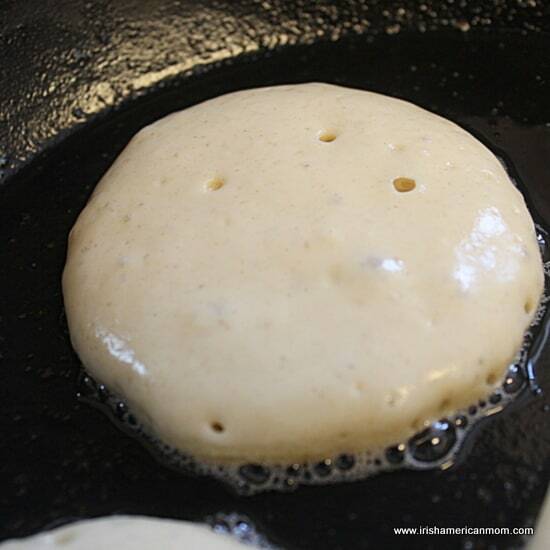 Re-butter the pan and continue to cook the drop scones in batches until the batter is gone. I made 22 pancakes in total with this volume of batter. Place the cooked pancakes on a plate and cover them with a clean dish towel to keep them warm and moist while finishing the cooking. Drop scones are delicious served with golden syrup. 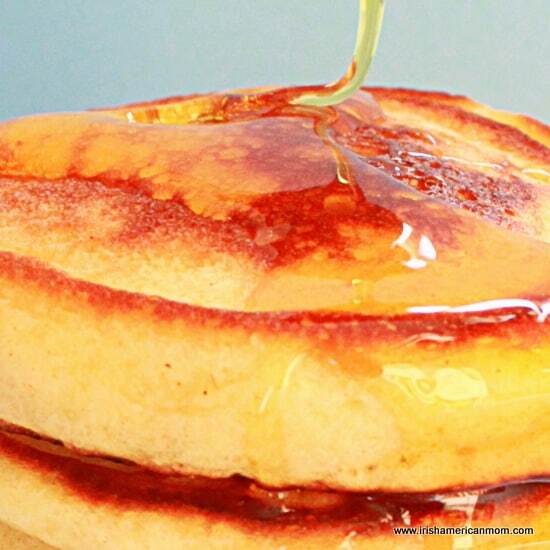 A knob of soft butter melting on a drop scone is equally mouth wateringly delectable. Honey adds an extra layer of ooy-gooey sweetness. And a spoonful of jam spread on top is simply scrumptious. Let’s face it! As for toppings, there’s no limit. Whatever you think will work to tantalize your taste buds, then drop scones are the perfect base for building a special treat. Smoked salmon with cream cheese gives them a savory twist, and strawberries and cream are simply perfection. Wishing you all days of happy scone dropping. Step 1 Sift the flour, salt, and baking powder into a bowl. Step 2 Whisk the eggs, milk and golden syrup together in a pitcher until fully blended. Step 3 Pour the wet ingredients into the dry and whisk together until smooth. Step 4 Leave the batter to stand for 15 minutes. 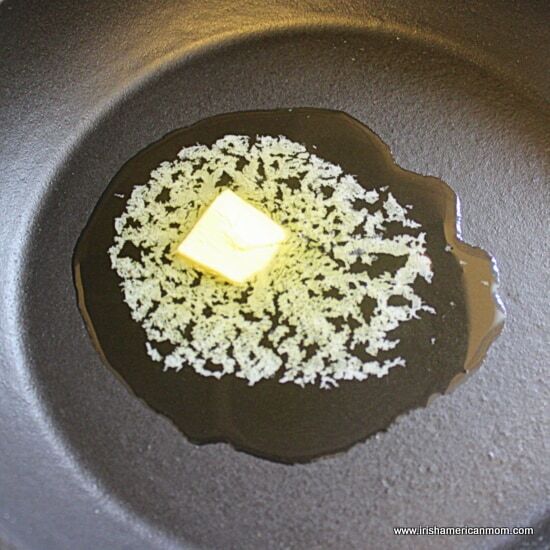 Step 5 Melt a little butter on a frying pan or griddle. Drop two tablespoons of batter in circles on the pan. Step 6 Cook for 2 to 3 minutes until the upper surface starts to bubble. 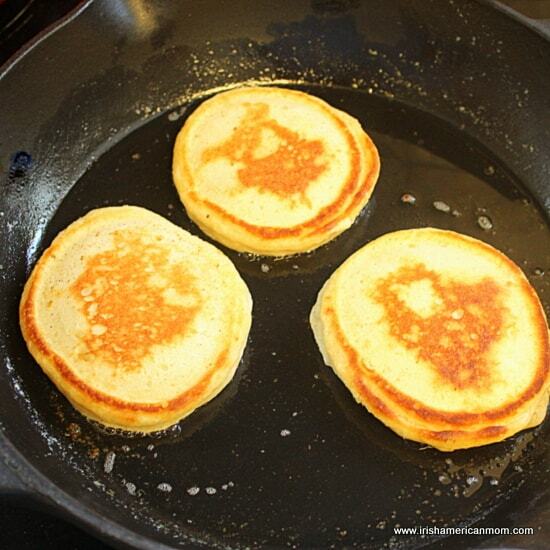 Flip the pancakes over and cook for 1 to 2 minutes more until golden. Step 7 Re-butter the pan and continue to cook the drop scones in batches until the batter is gone. Step 8 Serve hot with melting butter, jam, maple syrup or golden syrup. Drop scones are also delicious when served cold. 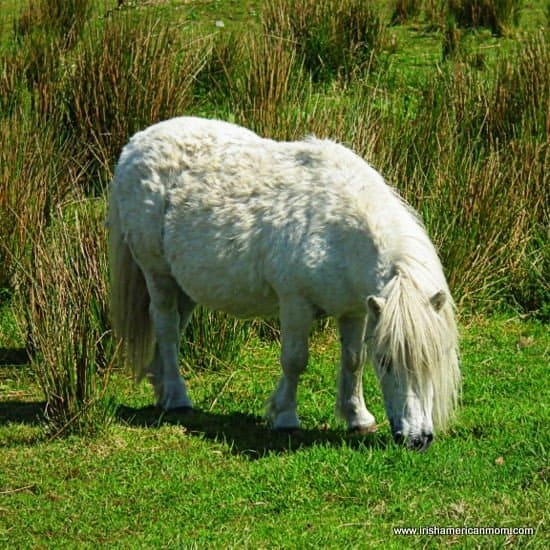 Horses were highly prized in ancient Irish culture. 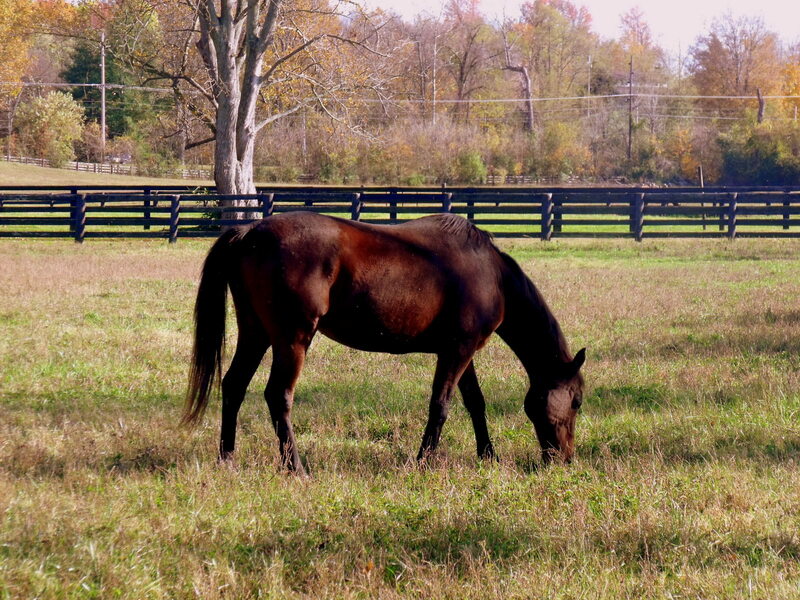 Deference for our equine companions continues to this very day. 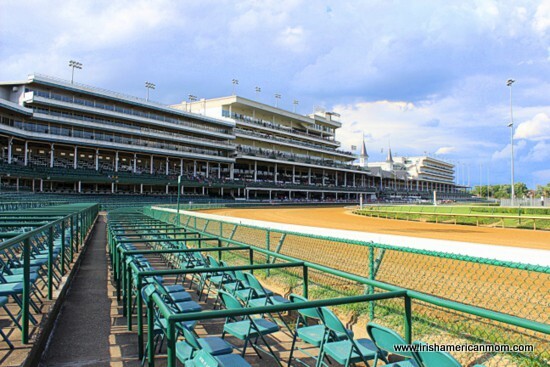 Both Ireland and Kentucky, my two homes on either side of the Atlantic, are renowned for breeding magnificent racehorses. 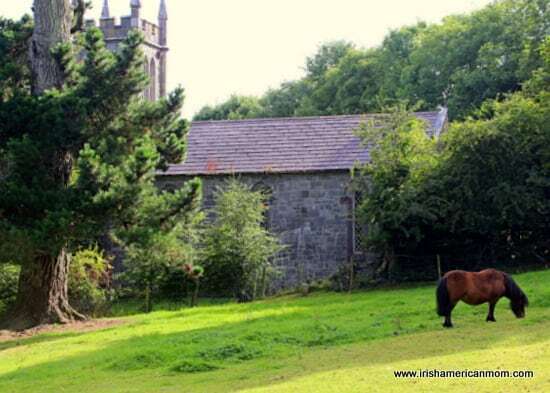 So I thought it was high time I explored the connection between the Irish and horses. 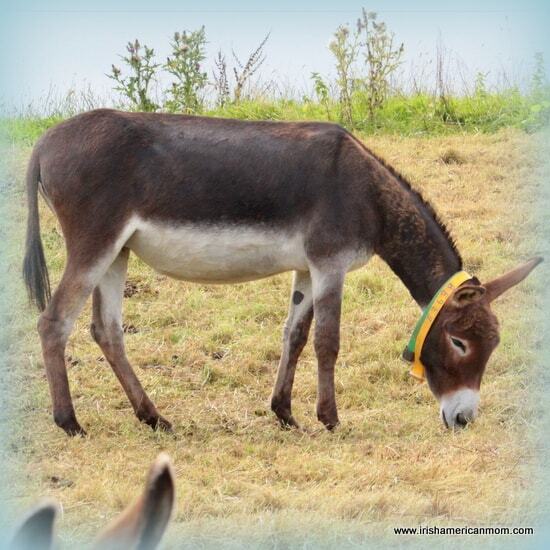 This collection of old Irish words of wisdom, in praise of our equine friends, underlines the importance of these magnificent animals to the Irish throughout the centuries. 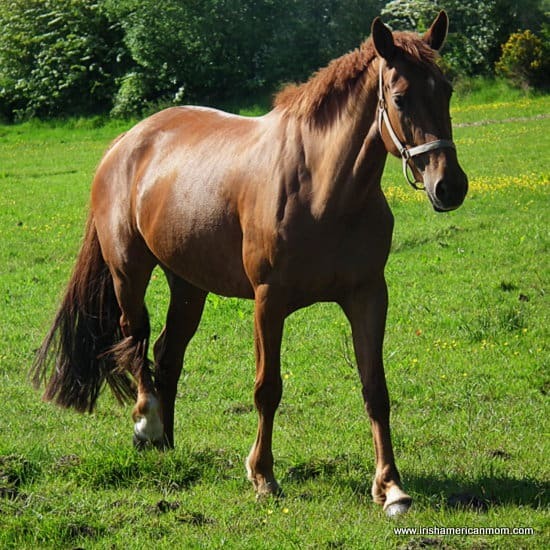 In passages of the Brehon Laws it is revealed that during the first milennium the Irish often imported horses from Wales and France. No saddle was used when riding. 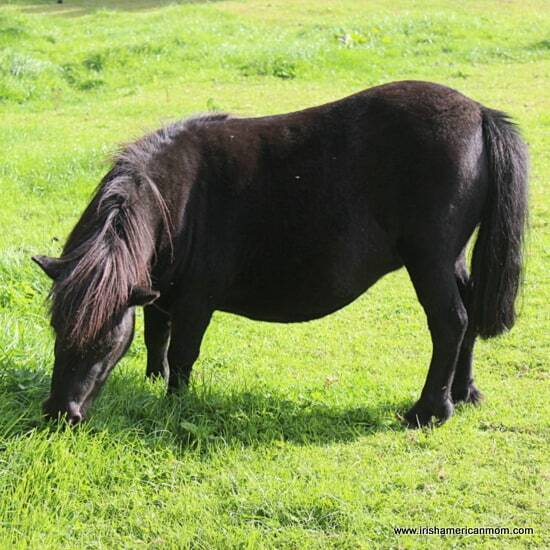 Horses made an enormous contribution to the Irish economy in the 19th century. 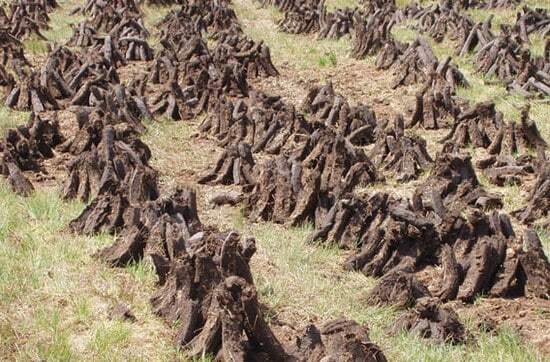 They plowed fields, thereby helping feed the population. They pulled carts, transporting people from place to place. 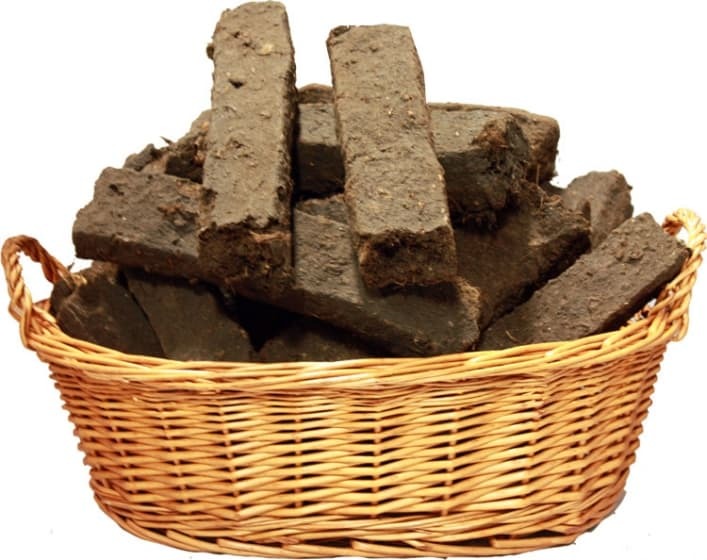 = Nee yay-nock on sale cop-ull raw-se dah-sal. 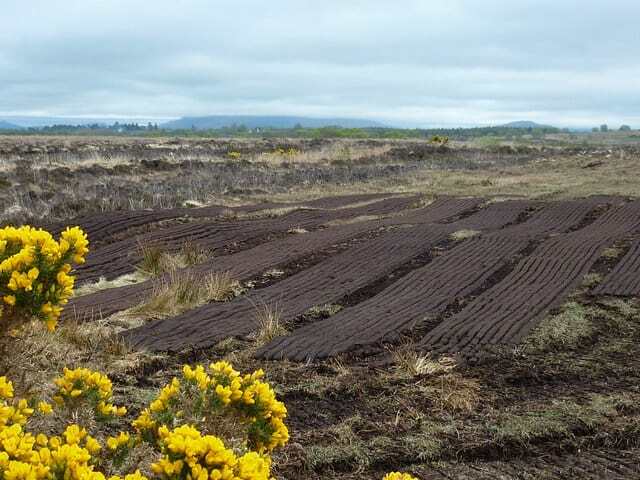 Ancient Irish horsemen rode without stirrups. 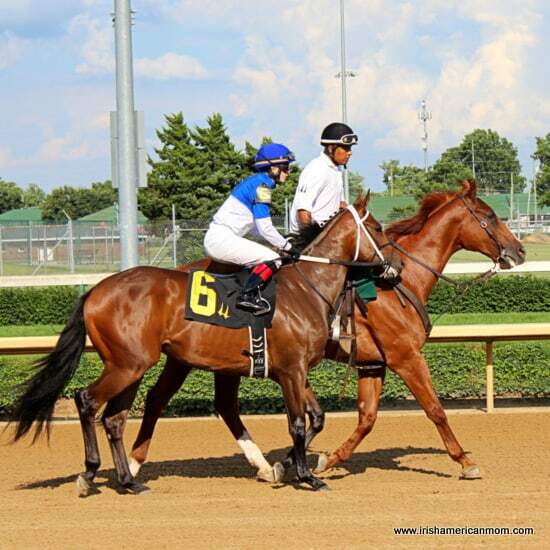 A horse was mounted by springing from the ground on to the back of the horse. 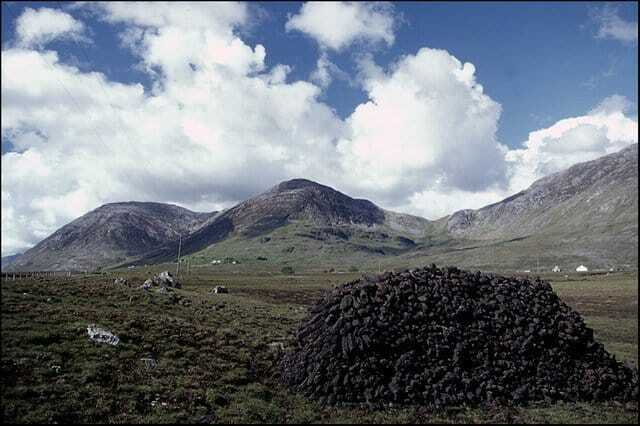 This mounting method was used up until the seventeenth century in Ireland. Every young man of the upper classes in olden days was required to learn horse-riding. 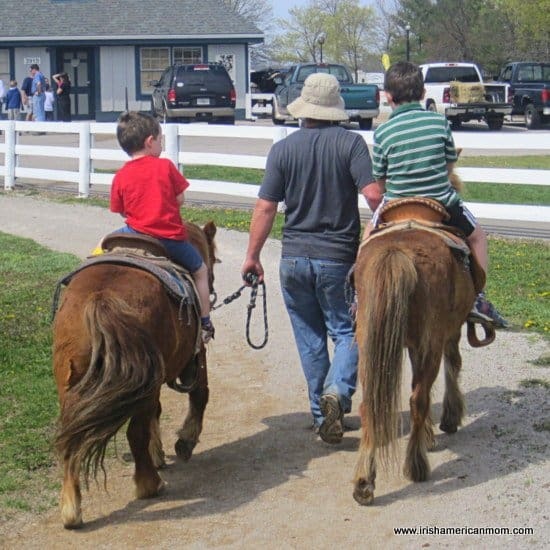 Today we require our children to learn how to read, but in the days of Brehon Law the skill of horse-riding was legally required. The meaning of this saying may not be immediately apparent to many readers. Believe it or not, these words are meant to be encouraging. It tells us that we must first survive and live, and then we will receive our reward. 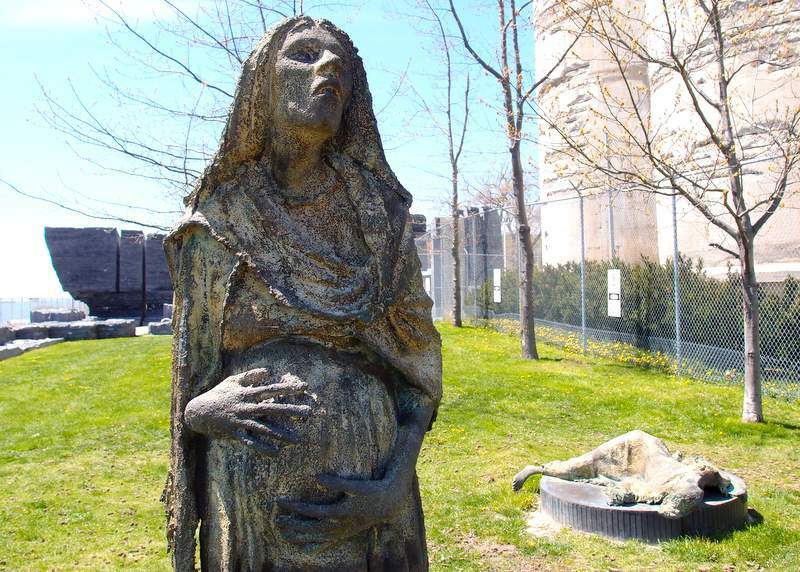 After 1695 the Penal Laws were enforced against Catholics. 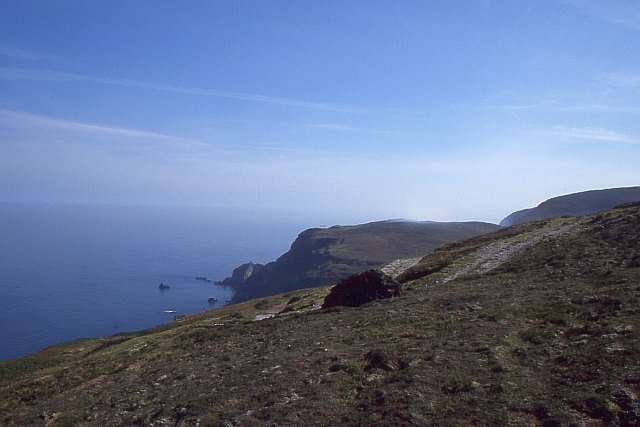 The Penal Laws were gradually repealed over the course of the 18th century. 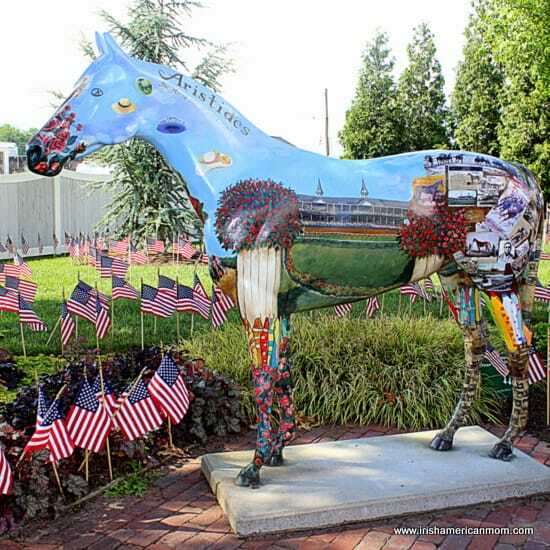 Of note is the law regarding horse ownership. 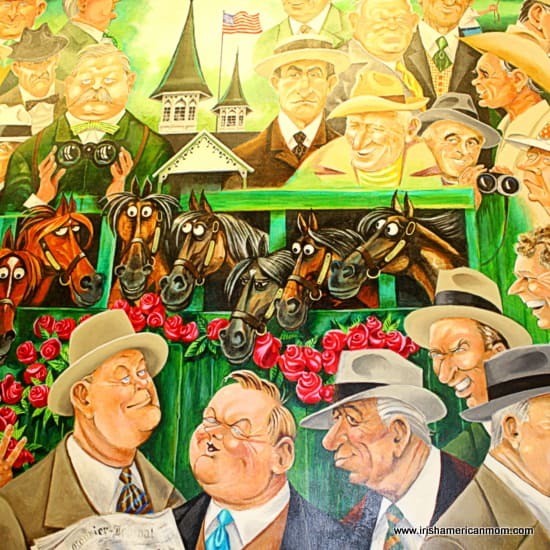 No Catholic was allowed to keep a horse with a value worth more than 5 Pounds. If a Protestant saw a Catholic with a horse of greater value, then he could purchase the horse for 5 Pounds. This horrendous discrimination resulted in Irish people placing great value upon horse ownership, as is clearly evident in the next old saying. “Youth sheds many a skin. Over the course of my first twenty-two years of life, I heard many of these sayings uttered by my West Cork granny. They were part and parcel of her everyday speech. Whenever I read them now, I smile, remembering how these wonderful words of wisdom just tripped off the tip of her tongue. 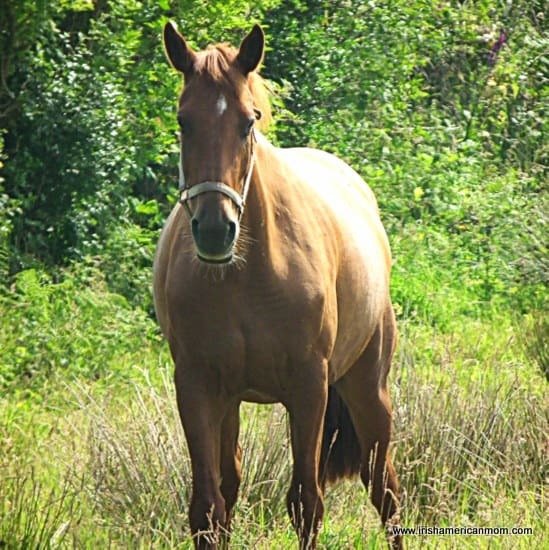 I hope you enjoyed this little exploration of the Irish love of horses. 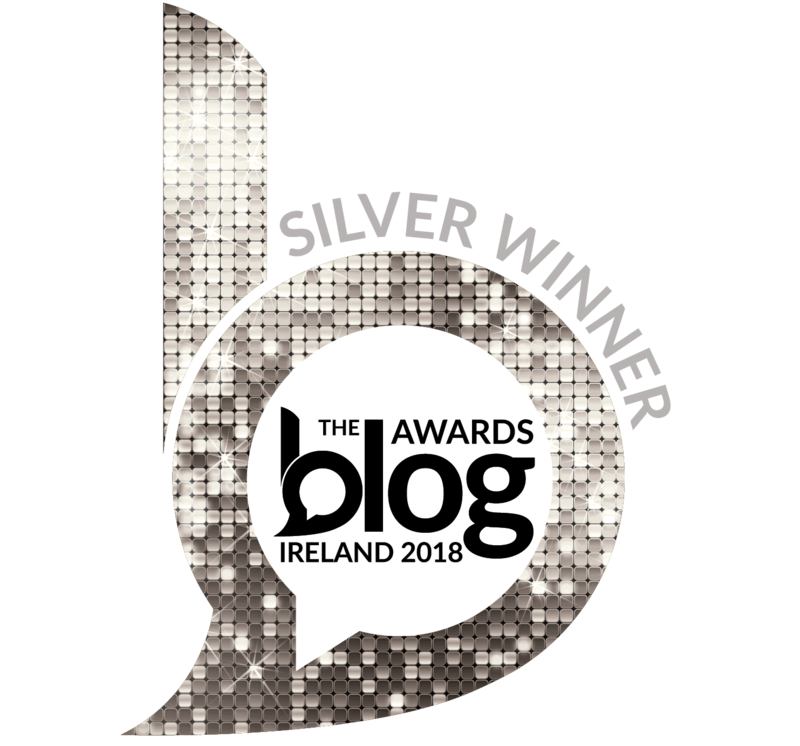 You might also enjoy my lessons in life from wise old Irish hens, and over the coming months I hope to explore more Irish sayings about animals big and small. Thank you for stopping by and checking out my ramblings.